1. Make a list of 20 — 30 essential words on the subject of the conversation. 2. Analyze the topic of the interview brainstorming any information relevant to the topic using the topical vocabulary. 4. Try to predict the questions the interviewer will ask during the interview (constructive strategy). 5. Try to predict the answers the interviewee will give by analyzing the hypothetical questions the interviewee could be asked. Do this exercise in writing providing possible versions of the answers (constructive strategy). 1. While listening to the interview, catch the keywords of the questions the interviewer asks. Try to keep them in memory and predict the possible answer to the question comparing this answer with the one you have anticipated before. 2. Make notes of the key phrases of the interviewee’s answer. 3. Focus on the interviewee’s vocabulary. 4. Mind the speakers’ extra linguistic communication which comprises an array of activities like gestures, drawings, melodies, rhythms etc. Try to interpret the speakers’ laughter, nodding, chuckling, groaning, paralinguistic phenomena (prosody, intonation), facial or postural manifestations of emotions, associating them with the verbal form of both speakers. Listening to an interview in English. Practice. Before you start listening to the interview in English «Is Shakespeare better in plain English?», do the Pre-listening exercises. Listening to the interview in English. Pre-listening activities. Exercise 1. Answer the questions about Shakespeare’s works to understand the interview better. 1. Have you ever read Shakespeare’s plays? What are they? 2. Have you ever watched Shakespeare’s productions? Where was it? 3. How much can you understand reading the original Shakespeare’s language? 4. What is the Globe? Exercise 2. To understand the interview better, focus on the key words of the audio text by matching the words with their explanation. Answers: 1e, 2c, 3a, 4f, 5d, 6b. Exercise 3. Your ability to comprehend the audio message depends much on the stock of words you know and are able to differentiate. Match the parts of word combinations you are going to hear in the interview. Answers: 1C, 2F, 3E, 4B, 5A, 6D. Exercise 5. Read some questions asked in the interview. What are the possible answers to the questions? 1. What was the first language that Shakespeare’s plays were translated into? 2. What does that famous Shakespeare line actually mean? 3. Are there many translations of Shakespeare? 4. Where was a production of the Shakespeare play, Merchant of Venice, by the Artistic Director of the Royal Shakespeare Company, Greg Doran, done? Exercise 6. Look through the following statements. 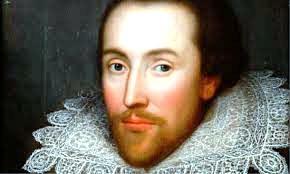 Then listen to the interview «Is Shakespeare better in plain English?» and tick those ideas which you hear. 1 The English in Shakespeare’s work is not quite difficult to understand. 2 Due to a Shakespeare festival in Oregon in the United States Shakespeare’s works will be easier to understand. 3 The author of ‘Worlds Elsewhere: Journeys Around Shakespeare’s Globe’ Andrew Dickinson has been commissioned to translate Shakespearean English into plain English. 4 Andrew Dickinson says that Hamlet has been translated into Klingon. 5 Andrew has travelled a lot for his new book. 6 Hamlet has been turned into a science fiction TV series. 7. Social media and academics support the idea of translating Shakespeare into plain English. Exercise 7. Using the words and phrases given below, make up and write down 5-6 true sentences based on the interview. Multifarious, the globe, plain English, social media, to do production. Exercise 8. In writing, express your own opinion on the following issues related to the interview you have listened to. 1. Do you think that the English in Shakespeare’s work is quite difficult? Why? What is taken into account? 2. Why do you think the writers have been commissioned to translate Shakespearean English into plain English? 3. In your opinion, was translating Hamlet into Klingon senseless? 4. What do you think is more important: the poetry of the words or the sense? Listen to the interview in English a few times and do all the exercises.